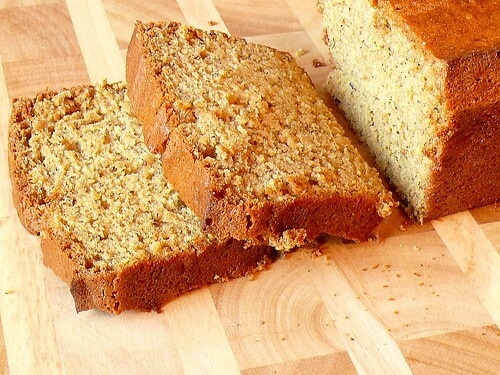 Today`s recipe is a nice and moist Eggless Coffee Banana Bread. I must admit, I was always skeptical in trying cakes/bread without eggs. Cakes and eggs were always synonymous to me. I have made this bread several times (with eggs though) and this recipe from a cookbook has never disappointed me. Today I wanted to try the eggless version or rather was compelled to try one when I realized I didn`t have the eggs. I was doubtful until the cake came out of the oven and for me to taste it (It was like writing your first exam and waiting for the results). 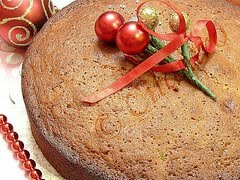 The result was the exact tasting cake which I have been making with eggs. Madhuram`s eggless cakes has always tempted me to try one. Except for the eggs, I haven`t changed my recipe. With temperatures below zero the past week, it was time for a nice warm cake and Chai/tea. Sift together flour, baking soda, baking powder and salt in a medium bowl. In a separate bowl,mix gently sugar, butter, flax seed mixture/egg and vanilla. Add the dry ingredients to wet ingredients. Slowly add coffee, mixing until combined. Make sure not to over mix the mixture. Add the mashed bananas and blend thoroughly. Pour into greased 5-by-9 inch loaf pan. Bake for 1 hour or until toothpick inserted in the center comes out clean. Let it cool in the pan. Remove and transfer it to wire rack. TIPS: The above measurement makes a single loaf. Substitute one egg if you decide to make it with eggs. Please checkout my event "GLOBAL KADAI". Looks gorgeous! Perfect for breakfast or anytime! The coffee is pulling me into this! Such a beautiful cake..looks prefect with some hot coffee.. Awesome.. your pictures give me enough confidence to try myself..
wow! looks moist and tasty. 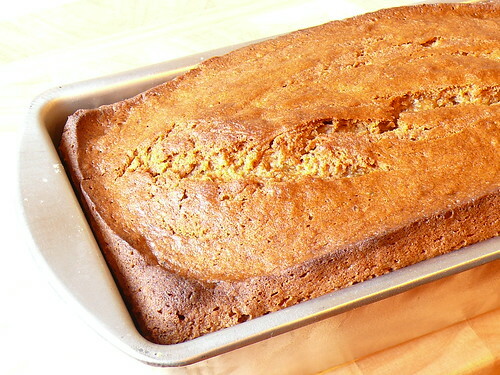 I too thought cakes and eggs went hand in hand till I tried Meena's (Hooked On Heat) banana bread. An American neighbor could not believe it did not have any eggs, till I told her there were more bananas than the usual ban. cake. Now I am tempted to try the coffee version on this ban cake. Only if I hadn't thrown away the two overripe bananas the other day. Thank you for the recipe. I'm so glad that you gave egg free baking a try Cilantro and equally happy that you liked it and didn't find any difference at all. Adding significant amount of coffee to banana bread is very new to me. The loaf is gorgeous and beautiful slice too! I love anything coffee flavored, cake looks super moist and yummy. Have never tried adding coffe in baked goodies. Sounds flavorful! Bread looks too good, inviting. Loved the last picture, Cilantro. 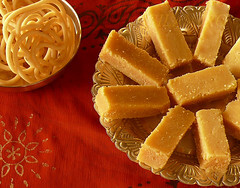 I love to try baking eggless too and I am so glad to finf so mnay recipes now. Hi cilantro, i used this recipe as a base and made eggless chocolate raisin coffee bread, thanks once again for this wonderful recipe! Can i use instant coffee powder ? You could use instant coffee powder. I would recommend 1 teaspoon mixed with one cup warm water.